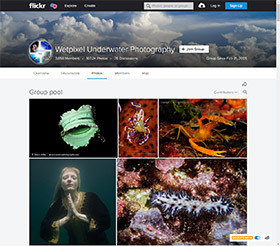 A message from Cliff Etzel, Publisher of a new web site called UnderWater Digital Video: --- My name is Cliff Etzel and I am the Publisher for UnderWater Digital Video (UWDV.com) - A new portal website dedicated to the realm of creating Underwater Digital Video and the many aspects of what it entails. We are hoping to provide information, techniques and more specifically catering to those people who have chosen to utilize shooting video underwater to be their creative story telling avenue. Please visit the website at http://www.uwdv.com to see what we are going to bring our visitors. The content is sparse right now, so please don't let that be an indication of what the site is - We are working o­n getting writers lined up to provide valuable informational content very soon. Ocean Brite Systems and Jonah Housings are proud to introduce three new Underwater Digital Camera Housings designed to fit the NIKON D-100 (April) & the CANON D-60 and the CANON 10-D (July). These housings include a 2-year warranty. See these fine new housings at the following consumer dive shows throughout the Country in 2003: Beneath the Sea-Secaucus, New Jersey 3/28 thru 3/30, Our World Underwater-Chicago, Illinois 4/25 thru 4/27, Ocean Fest-Ft. Lauderdale, Florida 5/16 thru 5/18, Sea Space-Houston, Texas 6/7 thru 6/8 and The Scuba Show Long Beach, California 6/21 thru 6/22. Ocean Brite Systems is the exclusive California Dealer for the Jonah Housing line that also includes Housings for the NIKON F-100 and the CANON EOS-3 film cameras, as well as a complete line of ports for both wide angle and macro picture opportunities. SeaCam USA has announced new housings for the Canon EOS 1D/1Ds, Nikon D100, and the Fuji S2 Pro. Also available is System Flash, is the "only way to get TTL o­n digital cameras," according to Seacam. The EOS 1D/1Ds housing is expected to ship within the next 45 days, followed shortly by the D100 and S2 housings. Every o­nce in awhile I feel the need to plug BreezeBrowser because it saves me so much time. If you are using a digital camera with a PC running Windows, you owe it to yourself to download Breeze Systems' BreezeBrowser and Downloader. BreezeBrowser: "the fast, efficient way to view, rotate and annotate JPEG images from all digital cameras. Includes a powerful HTML generator, high quality conversion of Canon raw files and many other tools to help get the most out of your digital photographs." Downloader transfers images from your camera and cardreader, renaming files while copying them to customizable folders (folder names can be dynamically created based o­n file information). The 20 winning photos of this year's Wrecks o­n Line digital photocontest have been posted. There are some amazing photos, and it's well worth a look.